The worlds most successful online auction business has to be eBay and as such they run into problems occasionally. In 2014, eBay went down with a number of websites thanks to massive Internet routing issues, but on a day-to-day basis there’s also bumps in certain areas of the world that range from eBay sign in problems, password issues, and even total outages. User report their most common problems tend to be at check-out, during the login process, or with the website as a whole. 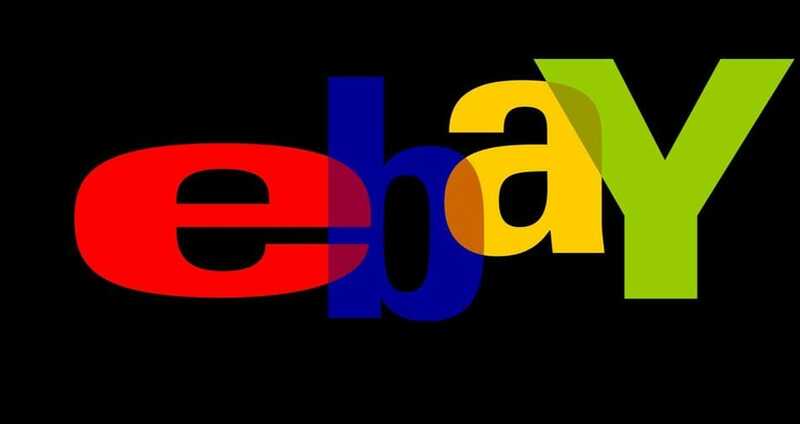 There can also be issues with eBay’s apps on Android and iPhone, so again this could be connected to other problems that might not even be eBay’s fault. If there’s some major downtime taking place today, you’ll see reports below. If you have issues then feel free to leave your own status report along with the country you’re in. If eBay is down today, then reports will be found below. I have chosen items online that I like and cannot pay for them. They are still sitting in my basket but cannot pay for them, this is like 18 hours now I have had this issue for. HOW LONG WILL EBAY BE DOWN FOR???? May 28th: I’m being told my password doesn’t match. Wrong. It’s in a vault so: No. It’s correct. i had to put google chrome in to my pc now every time i log in to ebay it tells me my pass word is wrong so i changed it and it still says its wrong but i can log on ebay with new pass word anyone eles with the same problem ???? Couldn’t sign in this morning. Requested a temporary password to be sent to my phone and logged in. Changed the password, eventually, after having to request another temporary password to be sent and still can’t log in using the new password. i cant sign in, and today i receive a fraud txt from my bank saying that someone use my card and trying to buy 9K worth of product, Good the bank is very fast to catch it. Be aware. Experienced error message, not able to sign in this eve( wed)deleted app reinstalled- same response, however i noticed in my app updates( apple iphone) a ebay update, i installed and ‘back to normal ‘ the app is working and running faster. highfive. ps- i had experienced some gliches earlier in the week in the app before ebay went down this eve and before updating app, eg wrong listing Â£ amounts and odd order of watching listings. I have got a wrong username in the automatic sign in, it is wrong on here too. How can i delete it? Cannot login from my Firefox browser on my Samsung galaxy note and can’t do so from the app, tried to open it through PayPal, that doesn’t work. When I tried to reset my password, it says its not a recognized email. I’ve had this account for years and I know I’m entering the correct info. Ughhh!!! I get the incorrect password screen and I know what I set my password as as well as using the correct e-mail. I had to set the same password three times before I was able to get in my account a week and a half ago. I log in with my phone’s browser and have never had this problem before. I’m the only one that uses my phone.??? keep getting the same “oops” message…No match….??? im having this issue to did u figure this out? Only able to log in by refreshing the page. However things soon go pear shaped, i.e. intermittant responses to mouse / no response etc. Can not login to ebay today, neither is there any help in following password link on my mail, to change password – all the time the answear is: Ops, this is not a match?? Also on my paypal 🙁 Anyboy else? Can this be because of my flash player? Can’t access eBay through the normal routes since a couple of days ago. It’s possible to get in via the back door to sell and view stuff but when I go to My eBay it crashes. Today can’t login to ebay. It kept on bringing me back to enter verification code page after typing in my user ID. After several attempts I gave up. Hi im trying to do a return on ebay but it wont go through, is ebay down i can still browse????. ebay is working in Clacton-on sea now. Why can’t I get into my selling page on eBay? Same here Margo….It’s infuriating, I am losing business. This is poor on EBay’s part this company makes an absolute fortune but there will be no compensation for buyers and sellers alike – EBay get your act together please !!! what the h is going on with ebay it has stop dead tried everything ,so angry I cant follow my listings , ebay get your act together . Hi my watch list disappeared 18/4/17 still hasnt returned and cannot add any as the do not show up when you check . Does anyone else have this problem at moment ? i SOMETIMES WONDER IF THE WEB WAS INVENTED TO EMPLOY IDIOT TIMEWASTERS – i AM GIVING UP ALTOGETHER ON EBAY ! eBay has stopped holding my log in details. Every time I log into eBay, it just goes to a blank white screen after I enter my details and I get nothing else. Any help and info would be appreciated. I haven’t been able to log in to ebay since last night. I’ve tried changing my password and it still comes up with ooops no match. I don’t know what to do next. Any suggestions would be gratefully received. Can’t login to ebay – tried resetting the password loads of times but still get the message – no match. Is there a fix for this? All of a sudden, I was getting the same issue…”OOOPS NO MATCH”. Couldn’t understand it because I was able to login fine a couple of hours before. I even installed Opera on my IPAD just so that I could login to eBay – as I always use Safari. I HAVE FOUND THE ANSWER THAT WORKED FOR ME!!! Prior to me being unable to log into eBay, I had gone into Settings, Safari, Block Cookies, and I had ticked “Always Block”. It was the cookies that were preventing me from logging in !! So I went back into Safari, Cookies and ticked “Allow from websites I visit” and voila, I can now log back into eBay!! Please check / try this as eBay is DEFINATELY not down, it is to do with your settings. Let me know if it works for you! Is Ebay down today? am having problems login in.My usual Password rejected.I have had to change it 3 times via Gmail when I try to login with password the last link I received in gmail was a yahoo.com.which isn’t my email address. Is Ebay Down Again Today ??????? Ebay keeps wanting me to enter a payment verification including my credit card number and will not allow me to proceed without this information. The web link has the “I” in a circle that says the site is not secure. Anyone else have this problem andor know of a way around it? I cant login on my phone today.When i try to sign in it says OOOPS NO MATCH,Its turning me mad as my login is the same as it was for 7 years. Im having login problems similar to Annoyed below. I get “oops, thats not a match” and when I select Text a temporary Password it appears to identify my correct phone number but no text ever arrives! The same happens with Forgot Password routine text pin, it never arrives! Yes, I’m having the same problems trying to log into Ebay, it keeps replying ‘oops,that’s not a match’ and then asks me to enter the random generated number. Neither method works ,I’ve been trying to log since Thurs 26th Jan and today Friday 27 the it’s still the same !! I would have more chance of speaking to the Queen than being able to even contact Ebay , what a shambles. Keep on getting prompted to include the random generated numbers in when logging into eBay today as the system is telling me I’m entering the wrong username or Password. By putting in exactly the same username and password and then including the 6 digit random generated number I get in? I’m guessing there may be a third party out there who likes my username but struggling with my password? eBay what is happening nearly 5 hrs of trying to sign in on iPad to come up with no server permission, unknown domain issue and refusing to allow me to login . Have tried installing and uninstalling up to 5 times and still nothing. At the end of my tether. Wtf is going on? Why can’t I sign in??? I have not been able to log in for the last 2 days, have now had two text messages to use as passwords to access my account, did not work, have now changed my password twice and got noticification back from eBay still no good, why can’t they email me back and let me know what the problem is. Unable to log into ebay for 2 days now. Will not accept password.Try changing password and it still won’t accept. Keeps looping asking to reset, accepts new password, and then says “oops it doesn’t match” when you try to sign in. Customer service on the phone is absolutely f–ing useless. Paypal is having problems too. The eBay website is down, this is both UK and .Com websites. Whats going on please, does anyone know. Can’t access ebay, outlook email, or paypal. Keep getting 408/409 server busy, or traffic jam on internet superhighway, or website is too busy to show the web page. Is there any way around this? Cannot load any pages on eBay today. Why can’t you change your details on either the app or logging on to main site on my iPhone? Very annoying & total waste of time, crazy that a site like this can’t cope with this or make it simple. Having had my security key fail at paypal I thought I would test it at ebay, hoping that it may work there, but it is also creating a failure there as well. So it looks like both ebay and paypal are having two factor problems. I cannot access my account no matter how many times I try. my password is always wrong and request number verification before can sign in?? No photos on Ebay. Anyone with the same problem? Signed it but……’We weren’t able to run the search you entered. Please try again in a few minutes’. I can sign in, but can’t get to my summary, or watch an item, finally, through a long way round, gave feedback for a purchase, not even sure how it happened, glad to see its not just me having problems. I’m able to sign in, but cant view my watch list or purchase history. I’m able to search for items and open them. Haven’t tried anything else…. can’t sign in, and if I can I’m unable to check anything such as purchase history. I received three items today, but I can’t check them against my purchase history. I need to contact one of the seller, but can’t do so. What gives I was just checking about 2 hrs ago now nothing. I need some explanation ebay. Obviously ebay are once again experiencing technical difficulties, You will discover as their power grows so will their sod you attitude, But be fair let’s give them time not just to get it fixed, But to come up with some convincing Bovine Waste. Can’t sign in at all. Haven’t been able to for days! Getting really fed up. Hi, yes I have same problem I think. Being asked to log in each time and then told Oops! They do not match. In between this an banner saying Error (Tide) and PASSWORD UPDATE. Each time it says password does not match and have to go through the whole process again! Anyone……….? Ebay app on iPad has been horrendous past 2 days. Can add items to basket…but unable to checkout using app. Using browser is fine. Been like this for last 2 days. Spinning circle of doom displays. Just as well I wasn’t bidding on items, but using ‘buy now’ feature. Having to use browser rather than app to purchase. eBay could not provide any explanation or solution and advised me to wait 48 hours and contact them again if issues not resolved !!!!! It’s been malfunctioning since Thursday 25th, two days now. Better in small hours when traffic low, otherwise many functions unavailable – extended wait sates, hangs and browser ‘can’t connect to web-page’ error messages result. frequently times out, even when you get in, it’s slow and it’s a lottery if you will get the next link you click. Cannot register in ebay. Says the page has moved ! has moved to where ??? Cannot sign in on my tablet its as if its frozen whats going on ? Can’t get on to EBay at all on my phone just saying not acceptable with my iPhone when it was ok this morning then just went blank ! What’s going on !!!!! can’t bring up the website; called brokerage in NH. ….he brought up ebay immediately. i do not how to paye the item armani jacket ,if i click for payement i get only this message ..contact the seller..
Can’t log in, passwords rejected, so I can’t list or edit any listings, other people I know also having this problem today. Can’t access any ebay on my laptop or any Paypal. What’s going on? I thought I was the only one experience this problem. After setting up payment it transfers you to PayPal homepage and it will not process payment. I use eBay affiliate links and i have been trying to log in to my eBay account and cannot. Does anyone know when the next eBay commission payment will be? very tempted to as ebay change too many rules all the time the latest is tracking every item you sell to help with negative feedback from people saying they havnt received items, but how can you do track and trace on cheap items and make a profit crazy! this happened last year for over 4 hours but didnt effect everybody they never admit its their fault who compensates us for loss of business for this length of time! Ditto to all the belo . Took my business to Amazon instead. No problem . It’s annoying and bad business. I’m lucky in that I have nothing selling right now or buying, but if I did I’d be livid! Neither can I – it worked early this morning when I listed an item – but now I cannot access anything. EBay Bunch a wankers down again!!! They need competition who’s up for starting an auction site?? Can’t sign in on eBay app on iPad or phone. What’s up? My sessions expire. Which doesn’t make any sense. Let me spend my money!! And I had a few mins of bidding on an item that would have long gone now. FURIOUS. Same here couldn’t make item as dispatched saying invalid IV key etc then asks me to log in. Managed to login, tried to mark as dispatched, same again. Now can’t login. Ebay please fix ASAP I want to keep my customers happy! Keeps saying ‘session expired’ and I’m thrown out!! Hey eBay!! What’s happening? Despite not logging out, you’ve asked me to sign in about a dozen times…..but you won’t let me log back in! Give your head a wobble….give your servers a shakin’….do whatever you have to do because I’ve got something to pay for! Jog on Black Friday week, its great to have all the deals but for the life of me cannot buy anything from the daily deals sections as too slow. I thought it was just me so I can take consolation in the fact other people are experiencing the same thing. I can’t sign in today on my android tablet nor my partners ipad.. Downloaded older version of ebays android app and still no good. If the comment from Felix is correct, then Ebay needs to learn that it takes a long time to nurture and gain the trust of a customer but only a few seconds to lose him/her. There are other auction sites out there and I’m sure that more will appear. If Ebay gets a steady stream of people abandoning them then the loser will be Ebay. People will only take so much before taking action. I can login using chrome on my pc but can’t access my messages! I have a friend who works for Google who tells me that E Bay either has a deal going with Google or that they are going to merge and will only allow Google owned browsers to access E Bay and some other sites. What is happening today is only a test to see the reaction from E Bay customers. Things will be back to normal later today but more tests of this type will follow. They know that their (E Bay) customers can not go elsewhere, if this works, over a test period of 12 months (expect this to happen more and more often) their intention is to make Google Chrome or an new Google-E Bay application for computers Phones a paid subscription access which will cost around 10 US per month. This is only a test and it seems that nothing will actually change until late 2016. E Bay-Google can not lose, as there is no where else for us to go. Same here. No login with “no network” kind of error on android phone. Via internet explorer, can login but my most recent sales still show as active items and some of my information is not available. I only know I sold one because of paypal notification on my phone. Typical, I don’t sell anything for ages, list a bunch of stuff and bang! ebay screws up. Poor. Unable to access messages / purchase history data during past hour. Site reports there is an error retrieving information from server. Supposed to be picking purchase up this morning but cannot access contact information of seller. She’s probably cussing me as I write! I also can’t log in! It keeps saying opps, wrong password or username ! But I was just on 30 min ago??? I am unable to login to my account as well and it’s saying account not found, also try to reset the password it’s not working?. what going on. is the server down or what happen to my account? I can only see the home page, can’t see my watch list, buying list or messages! Tried via app and website, have they been hacked again?? I have now managed to log in to ebay by using the Chrome browser. The eBay app and Safari browser isn’t letting me log in to ebay. But Chrome allows it so ok.
eBay app is having problems where users have to use the site, which in return is slowing that up a lot. My app is telling me to use the site, is this normal? Tried logging in today. It won’t let me however many times I try. Easy fix. I called eBay as I had problems logging in on my Safari browser. Was told to use another browser Google Crome and logged in fine. Was told that at some stage my Safara browser would work again. Although I am signed in to my account, ebay sign in page came up when I tried to pay for a purchase. I resigned in and it keeps telling me my password is incorrect. I am using a pc and tried with both IE ll and google chrome. Nothing. I keep getting the account is locked page even after putting in the right information. I can’t access ebay at all now. what does this mean? it doesn’t make any sense to me. Does this make sense to anyone out there? Having a similar problem right now- for the past two days cannot login via my laptop, I enter my user name and password and it just takes me back to the login page. Can use eBay fine via my phone though. Can’t sign in either- I attempt to login and it just takes me back to the login page. Not sure if it’s eBay or my laptop. Been a problem for about two days now. Cant login at all. Cant contact customer support. All the emails I send including requests for password changes receive no response. Can log in from tablet and mobile but not laptop??? Keep getting told password/email is wrong, even when same information logs me into the other devices? cant get sent messages on my ebay,for 5 weeks now,no help at all from ebay. Trying to pay for item for last 4 days everytime I try to log into PayPal from eBay it says appears you have lost network connectivity. tried from app and regular site both. Regular site says you have been logged off PayPal . My PayPal app is working fine. Update has cost me winning 2 auctions because it was running too slow for it to update me that I had been out bid. Not happy at all. If it’s not broke don’t fix it!! yesterday one of my item I sold, when I click “print postal”, it takes me to paypal login screen. for other item I sold, it did not take me to paypal. today I am trying to day, it keeps telling me cannot get to payment server since last night. No listing of my watching items on iphone app..disapeared, page blank. Well, this is embarrassing. We’re sorry, but the quick listing tool isn’t working right this second. Give us a couple of minutes to fix this, and then please try again. Anyone else having the same problem. Thankswith your listing. I can’t list items for sale. I start the process but can’t finish it. Can’t fill in the description field and can not put in the best price . anyone else having these issues? i cant get into my ebay it wont let me sign in to buy anything been trying since the 23 august now its almost 5 days. Once I’m able to get in, I get kicked out if I try more than one search option. For the past few weeks Searches have been incredibly slow … it’s as though everyone but Ebay knows there is a problem What on earth is ebay trying to do – alienate all it’s customers — This started about the time Ebay separated from Pay Pal and installed their “new and improved” software …… New and Improved = really messed up. I am logged into eBay on my iPhone but want to be able to log in on my kindle too. Every time I enter my details it returns to sign in screen. I’ve tried changing my password. I cannot login. Tried different times this past week. I have tried 6 times to sign in this evening but it just does not work – the sign in box just clears and goes blank each time. Also there are no emails from ebay. So there must be a big problem. Ebays says it has locked me out ‘for my security’. Tells me to reset my password, they said they will send an email with instructions but have waited for 30 minutes and although I have asked them to resend the email, nothing is coming through. Am receiving other emails ok . Weird, however Ebay’s loss is Amazon’s gain, ordered from them instead. I have problems to sign in from my laptop. Please help. I need to make some orders. i can only login on my phone and not my tablet? Can’t get into eBay today in the US, either. Hi. I was just wondering if you resolved your problem logging into eBay? I’ve just had the same problem, it’s like my account has just disappeared. Yep changed my login twice and all I get is back to the page saying I have to change my password. Cannot get into my account and I’m in mid bidding for two items. What on Earth is going on? Hi I can’t seem to login to my ebay account this afternoon although it worked fine this morning. Not receiving any error message either. Anyone else having the same problem? Or HAD the same in the past and knows the remedy? 😉 thanks……. I got problems signing into ebay uk today, am I alone? Cannot use seller listing tools anymore. Just asks to phone ebay with a security code .. Yeah like I’m likely to get anywhere with that !! Cant login. Its saying the page is unavailable or may have moved……what? Sort it out ebay! I am having problems uploading pictures.It says they need jpegs,all my pictures are jpegs. Can’t log in… been unable to login for the last few days. I have exhausted all the passwords I’ve used to no avail. Followed the link to “Forgotten your password” and they never sent me email to reset password etc. Their “Online Chatting” is down too. Frustrated! I just can’t use my iPad photos for loading into ebay app when trying to set up an item for sale. driving me bonkers. Long time eBay seller, problems started Monday 3/23 for me, when could not list or upload pics. Tuesday 3/24 everything again worked correctly, but then again on Weds it was down. Overall, it was down on Mon-Wed-Friday, w/o 3/23, and then down again on 3/30. Boards are reporting various problems, with various browsers, and various settings. Some buyers can’t pay for things, and ebay sellers have been offered thousands of free listings, but the Seller Your Item forms are not working. Some also reporting PayPal problems. Reading the boards, one can see many different problems, but there seems to be no acknowledgment from ebay that they have a problem. Perhaps just a similar statement would help everyone, but management is no where to be found. Can’t log in to my eBay account today (This email address isn’t registered on eBay). Anyone else having problems? For the past 2 days haven’t been able upload pictures. I’m really pissed becuause I have an offer for 1000 free fixed price listings till the 29th. Guess I won’t be cashing in on this offer. What a joke. Can’t log into PayPal on eBay to pay for my items. How two Internet Giants can have issues like this is beyond me. May need to look into their test function. There are a lot of people having issues with the ebay site, It’s all over the discussion boards on ebay community ,but I have not seen anything from EBAY saying they are having problems. I have checked my pc and everything is working right except for when I get on ebays website. I cannot load photos and it’s been that way since Mar,18th,2015. I can’t even get to the contact page to get a hold of them. I’m having trouble too, with photos. I was trying to remove photos, but nothing happened when I clicked on the link to remove photos from a listing. I thought maybe it was a Java issue, so I uninstalled Java and then reinstalled it, and restarted my computer. But no improvement. And now the listing description is showing up with weird coding. I am having the exact same problem, can get to the listing screen, but can upload pics, or open any of the pull down menus. My apps decided to stop working and say no signal even though I have wifi !! And full signal grr 3 days now !! Ebay app still not working! …been a week now.just shows no network..even tho im using my wifi…bloody ridiculous! Sort it out now!! I have not been able to pay for eBay auctions with Paypal—the sign-in (login) is unresponsive. I have called eBay and Paypal and they just tell me to use another browser—which is crazy. I have Safari and it has worked fine up until two weeks ago. The last three days it is impossible to pay ebay-items with Paypal. My listings have disappeared today, not showing on phone for laptop, is anyone else missing their listings? sign in page is completely down and customer service says it’s fine. tried three or four different devices and multiple browsers and the app. turn off WiFi and use your cellular signal. but my last few days of my history is not showing. who rely on this to make money to put food on your table. I have bought item on eBay with PayPal no problems first time I sell something was sold no payment buyer is coming for items se problem with PayPal eBay saying items not sold going to advertise them again my payment pending confused no problems buying stuff also told I wouldn’t be charged for the first three it’s I sold they have charged me what is the best way to resolve this have lady coming tomorrow for items she said said she paid for on Monday? I am unable to list items for sale on ebay on my imac, it will let me type in the title of the item then when i press start selling it just comes up page not responding. It was working fine yesterday up untill around 4pm, then i get the not responding message ever since! I’ve not been able to sign in to ebay on my PC, mobile or tablet. Says my username doesn’t exist and email address is not registered with ebay. Strange seen as they sent me a promotional email only a couple of days ago. I’m unable to download any pictures today, I tried safari with browser and the ebay app, nothing works since about 1 o’clock. I have 5 items not paid for in the last two weeks. the buyers who bother to contact me say they cannot check out, or there is no invoice. having problems getting payments from items that have been sold today , and still have more items on the auction , any one else having payment problems. I am in the same situation been down at least 6 hours so far..
I’m having issues listing items on eBay. I want to be compensated for this, I’m trying to run a business.They need to sort this out now. Unable to watch or bid on any items. cannot list anything. will not allow me to choose category, will not let me upload images. Since Nov 09, every time I try to sign in to eBay a page says I’m using a different computer (NOT TRUE) and they require verification and then email a code to enable me to sign in. This happens EVERY time! Is eBay getting too big for it’s boots? I still cannot log in to PayPal via the eBay checkout link to pay for items. I lost out on an item I was following last night because I couldn’t get logged in, pretty annoyed as it was rare as rocking horse poop and I doubt I’ll get to see another for a while. This is the second day where I still cannot log in to PayPal via the eBay checkout link to pay for items. I contacted PayPal customer service who have said that this is an eBay issue not a PayPal fault…I can still log in to PayPal via their app and website, but cannot pay for eBay items. Cannot get access to a few items I’ve been watching, they finish soon! I really wanted to bid. none of my listings are showing on my selling manager pro—i have more than 2500 active listings…..NOTHING. no sold, active, awaiting payment, awaiting shipment, etc. Same issue – nothing in my ‘Purchased’ area but I’ve bought 4 items in past 7 days!!! Similar problem here only my summary page has nothing on it anymore, no watched items and the items listed I just bought and have yet to receive are gone. It’s like it’s welcoming me to eBay and asking what I want to do next. Only thing that’s there is my feedback. Can’t use eBay this morning, items are listed but whenever I click on the thing I want to look at eBay takes me to another page saying “items found similar” all the time. Ebay checkout not working for the last 3 hours. Now it is 2:15 PST. Get it fixed!! its not ebay its the paypal checkout,and its ridiculous. Anyone else having my problems, Ebay won’t go through the checkout procedure and this is linked to paypal not working today I guess. I’m unable to sign into eBay in Ireland, anyone else experiencing difficulties? I’m a Top Rated seller and use eBay for my business, I have seen a drop of 50% of sales this week due to all the problems I had been enduring with their site. Is there a scam going around I’m having problems logging in today. The label printing bit has been faulty today and i’ve had to take my parcels to the post office the old fashioned way. Yet again I cannot log on, WTF eBay, you charge enough in fees, why can’t you provide a fit for purpose service? After 3 days of trying to log in, i have deleted the app, reinstalled and changed the password, it seems to be ok for the time being. I still cannot sign in to eBay, even though they claim it is fixed on Twitter. My problems seem to have coincided with the new app i have downloaded. Anybody else suffering with ebay App problems? I can’t log in via the app or the website. Its a joke considering eBay charge for their help! I’ve been trying this afternoon and it keeps saying my username and password is wrong???????? How can it be when i logged in last night with the same details. eBay is down everywhere today, the apps are working thanks to a different system. I’ve spoken to friends in the US, UK, and also one friend in China. eBay is down today in all these places and all US states. Anyone else struggling with eBay today? I can’t log in, been trying all morning. Anyone got any news? I’ve been trying to list some items for 2 hours now but can’t sign in. It has worked twice but then threw me out. Unable to sign into eBay for the second day running, is anybody else suffering this problem? I’m in London. can’t log in 2 days now. I thousands of messages in forums about the eBay problems today. I finally managed to log in, but cannot .access my feedback, messages, or selling page. This is really disappointing and considering the amount of issues, I can see why eBay played this outage down yesterday. There’s more than “some users” being affected, it’s Tuesday and I still have issues with my account while I type this. Extremely frustrated, cannot sign into my account all day. Still unable to log in to my eBay account! This needs fixing now, come on please? Whatever the issue, the site was down for around 7 hours. I managed to speak to someone on the phone and they informed me eBay was down for around 6 hours. It looked like you were taken off eBay during the problems today, and since the phone call they rung me back and explained the issue was caused during routine maintenance when a technical issue happened. Different parts of the world came back up over a few hours. At last! I was finally able to list again on eBay. The site came back about an hour hour ago for me, although been having problems with the iPad app though. It is now 3:30 am and I’m still not able to get on eBay, been going on since since 11 am in the morning today from NJ. Having problems listing items on eBay today, August 23rd. The issues with eBay’s site have been resolved according to their Twitter page, but I’m still having problems connecting and I even cleared my cache and cookies.